Growing up in the 80’s and 90’s, I feel like I was witness to the golden age in rerun television. At any point during the day you could flip on the TV and immediately be pulled into a random sitcom or detective show. In this day and age there is programming of all genres available at your fingertips whenever you want it. Don’t get me wrong, I think that’s a good thing and in no way want to return to the 13 channels of basic cable programming available to me in my formative years. But at the same time, I feel like modern TV shows have lost the simple pleasures I found in syndicated reruns because of the oversaturation and availability of entire seasons that you get with streaming services. With a good rerun, outside of the dreaded “To Be Continued” episode, there is really no need for a backstory or any understanding of previous episodes. There are not many overarching story lines that you need to know about in order to understand what you are watching. The main characters need to stay pretty consistent throughout all seasons so that you don’t have good and bad seasons because of the cast. How annoying would it be to tune in to Walker, Texas Ranger expecting to see the stunning Chuck Norris only to find out for the last couple seasons of the show they cast Steven Segal in the lead role? The Rockford Files – Need I say more? 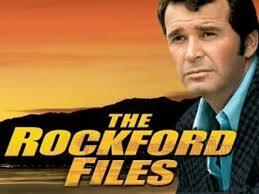 Quite possibly the greatest show ever produced, The Rockford Files was on for 6 seasons through the 70’s. It stars James Garner as the main character and his sweet Firebird as the most notable reoccurring co-star. The plots are all pretty similar with the main theme being a hard luck private detective comes out on top and catches the bad guy after first encountering some issues. Anytime you combine James Garner, a Firebird and frequent breakfast tacos you might as well go ahead and sign me up. Seinfeld – While I was in college, TBS would run two episodes of Seinfeld every afternoon/evening. That means by the time I graduated I had probably seen every episode at least 8 times. Even though I know each episode like the back of my hand, I can still laugh along as if it was the first time I watched it. The cast stayed pretty much the same throughout the shows run and the storylines were all reset at the end of each episode. The stories for each show were so unique that the episodes could be shuffled and the show would still have the same effect. 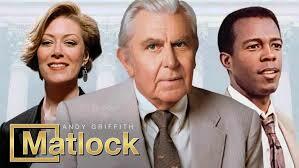 Matlock – Andy Griffith was close to making this list twice but I chose this show in particular because its cast didn’t contain Warren the replacement deputy. Seriously though, this show is a consistent watch. His lead investigator changed a couple times and his female co-attorney seemed to come and go but the storylines for this show were all basically a reset. Every episode would start with a bad guy committing a crime, Ben Matlock playing the role of a fool, a lot of noisy eating scenes with hot dogs and eventually Matlock winning the case. Did he ever lose a case? 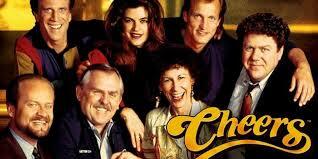 Cheers – I’ve watched this show through a couple times and I still find it pretty funny. There is some turnover in characters with Coach dying/being replaced by Woody (Harrelson) and Diane (Shelly Long) being replaced by Rebecca (Kirstie Alley). The core characters that come and go in the bar though pretty much stayed throughout its run. Sam, Norm, Cliff and Carla are enough to keep a good synergy and plot line going that keeps the show watchable from beginning to end. The atmosphere of the bar and the way it comes across as a big family is what sells the show. Murder, She Wrote – Angela Lansbury is the equivalent of a female James Garner basically. 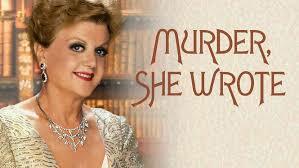 I couldn’t imagine the role of Jessica Fletcher being played by anyone else. There was some turnover in the other cast members and the location of the episodes changed frequently, but for the most part the plots were pretty consistent. Every episode someone would drop dead and it was up to Jessica to solve it because law enforcement was clueless. Even though she was a mystery writer, she somehow got a crazy amount of access to open cases. How come she was never suspected of the crimes? Everywhere she went, people were giving up the ghost left and right. This entry was posted in 5 Off The Top, Reviews, Television. Bookmark the permalink.